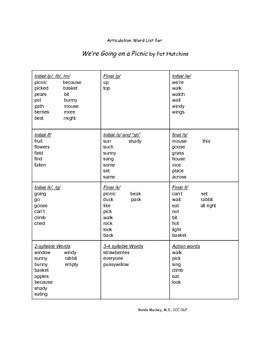 This is an articulation word list for use with We're Going on a Picnic by Pat Hutchins. The primary focus is for preschool so the words and sounds target are primarily early developing sounds (p, b, m, w, f, s, g, k, t). 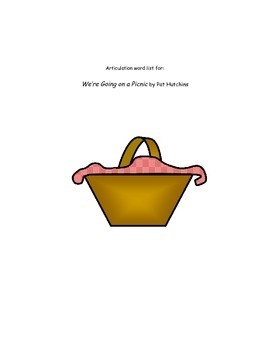 I have also included multisyllabic words and action words (because so many of my preschoolers are also working on these). 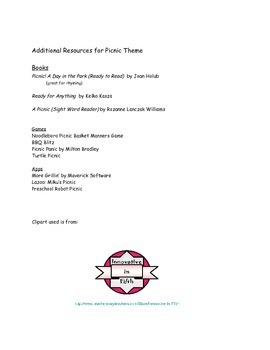 The second page includes some additional resources that I use with this theme. Hope it is helpful!